Pupils at Beardwood Bank enjoyed a smashing series of Scrabble games recently. Year 4 had a New Year taster session and joined the Year 5’s and 6’s that already attend on Friday lunchtimes in the Additional Learning room with Mrs Porter. Lasting for around 20 minutes, games are well thought out and Mrs Porter is increasingly impressed by the children’s capabilities! Tactics are being learnt and strategies developed as the club continues; thinking ahead, planning placements, totting up mental scores, and ensuring pupils lure their opponents away from high scoring positions on the board is all part and parcel of play. It’s a very friendly club, but everyone wants to compete! Last week, thirty-three children played Scrabble using the two short boards (adult half size) kindly donated by the Association of British Scrabble Players and Deluxe boards bought with the assistance of the Westholme Association. Thank you again to everyone involved in these two organisations for your support. 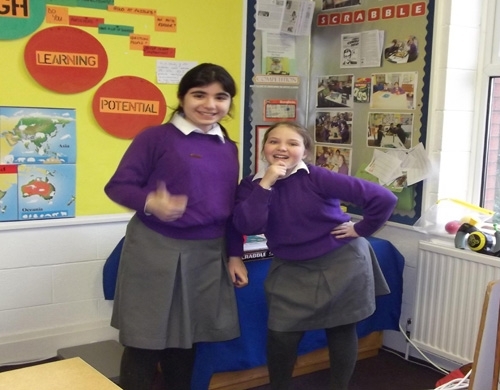 On Friday, the top score was 54 points achieved by newcomer Francesca Hart (Year 4), ably supervised by Lara Ibrahim (Year 6). The highest scoring words in the eight games were ‘kidney’ and ‘shark’, both scoring 28 points.